Ben and I went to the Richmond Public Market to get groceries. Since, it was near lunch time, Ben suggested that we had lunch here before we headed back home. 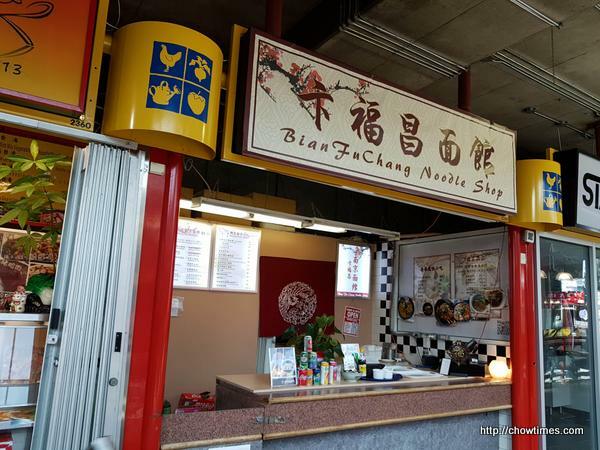 Ben decided to try the above Bian Fu Chang stall which was new to us. Bian Fu Chang is primary a noodle shop which also has some appetizers on the side. 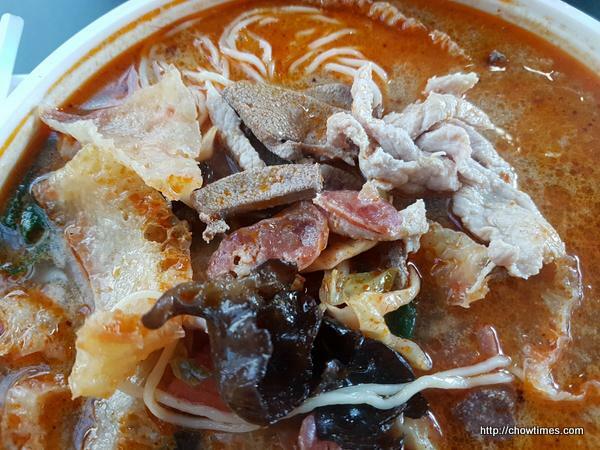 We decided to try their specialty noodle which is the item number 1; Special Six Delicacies & Pigskin. Wow, the bowl was huge. It was loaded with pigskin, pork slices, pork liver, Chinese sausage, wood ear and bok choy. 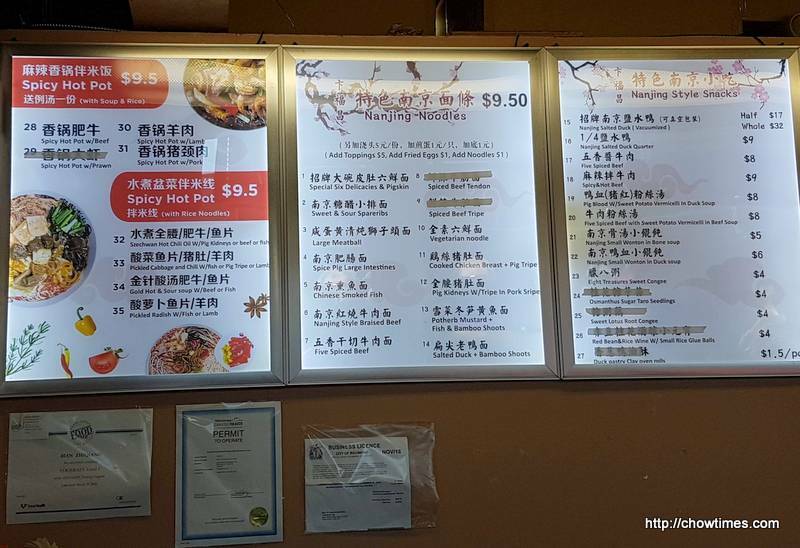 You have the option to choose the spiciness that you like. We always go with medium. 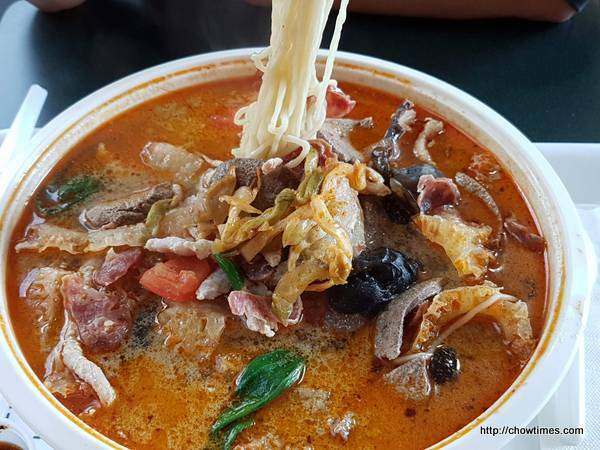 We really enjoy this noodle and will be back to try others. 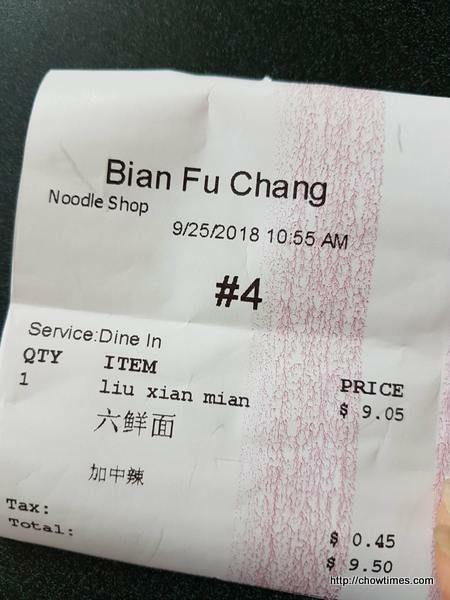 Bian Fu Chang accepts cash only.